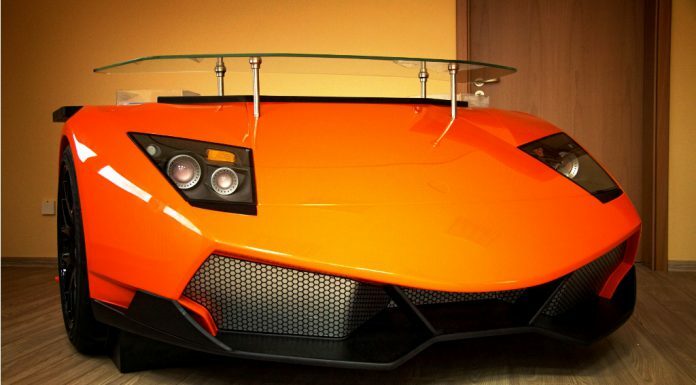 Home Car News Can’t Afford a Real Lamborghini Murcielago? 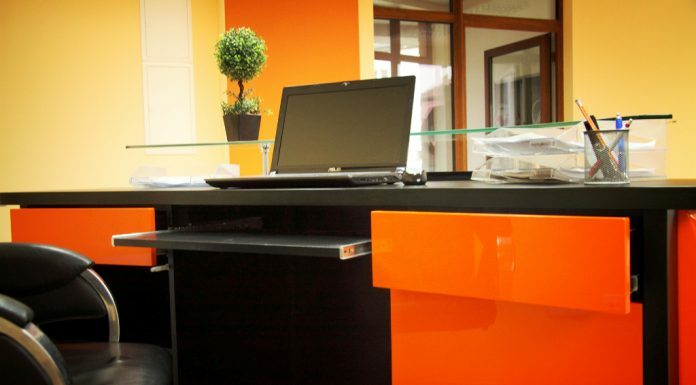 Buy This Desk! Can’t Afford a Real Lamborghini Murcielago? 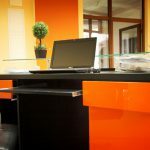 Buy This Desk! How do you express your love of Lamborghini if you don’t actually have the money to go out and buy one? Well, you could fill your bedroom with posters of some of the finest Lamborghinis ever produced, or if you have a little bit more loose change that that, you can get this! 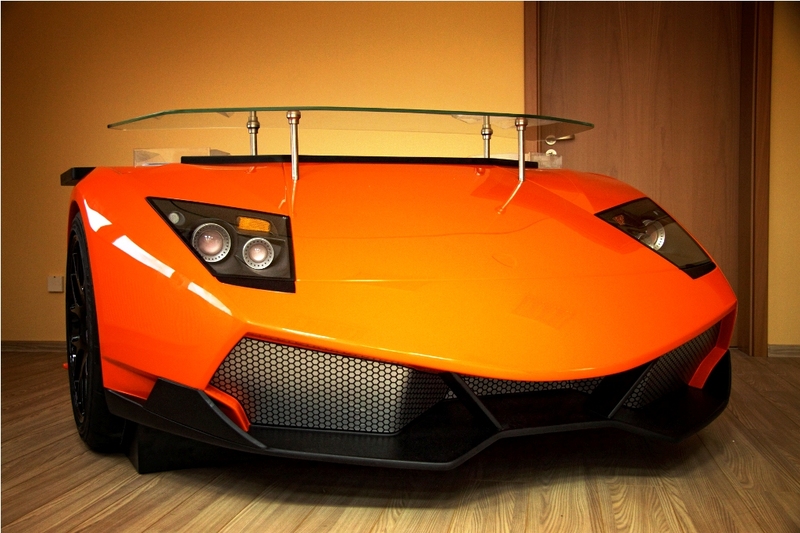 Manufactured by RETRO this Lamborghini Murcielago LP670-4 SV desk incorporates a replicated version of the SV’s front end. 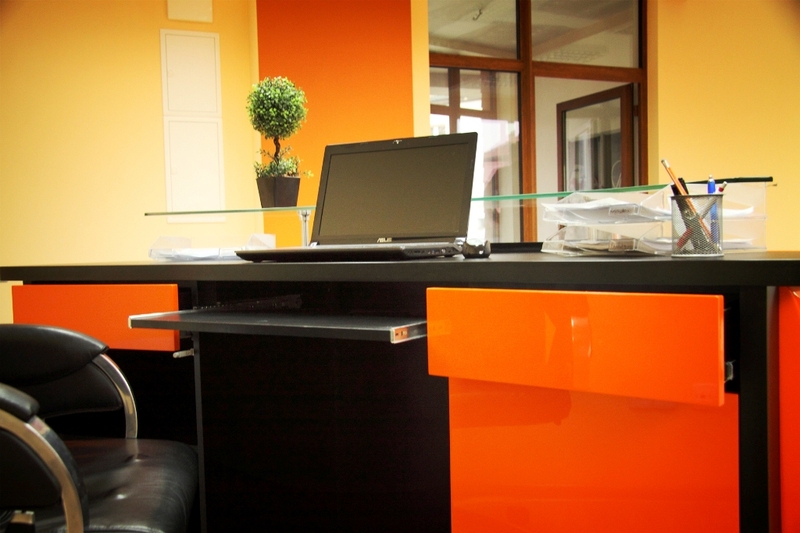 This unique desk is available in a variety of colours and will set you back around $7,800. 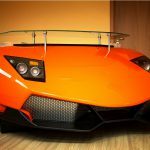 While such a price tag does indeed sound quite over-the-top, keep in mind that there’s simply no other Lamborghini Murcielago SV desks out there like this one and we can’t think of a better reception desk for Lamborghini dealerships all around the world. Be sure to send us an email if you’re interested in purchasing one!